For more reviews and information,please visit https://evaluape.io/share to download EVALUAPE APP. New-generation stable coins controlled via algorithm and backed by fiat. 1) The project focuses on the stable coin market, which is the core of blockchain-related business as well as a blue ocean market. 2) The design of the project has sophisticatedly combined stake coins and stable coins, forming a closed internal loop. 3) The team is composed of members with superb background; it has also partnered with a number of powerful e-commerce companies to attract more users. 1) The key factor affecting the project’s success is the quantity of users. But the project is barely able to achieve any long-term goal with its current user base. 2) The roadmap is unclear. There is no sign that the GitHub is open source. 3) There are not many participants in the project’s community. As a stable coin project, Terra will issue cryptocurrencies each backed by distinct fiat currencies and integrate them to an SDR. Users can conduct cross-border transaction and international trading settlement in this pool, while the TerraSDR offers shared liquidity and macroeconomic fluctuations. In addition, the highlight of this project is that it has created another cryptocurrency Luna and developed a set of PoS mining system for Luna. First, the Luna stake represents the pro-rata odds of generating a Terra block, while mining rewards come from the Terra transaction fees and will be denominated in TerraSDR. Secondly, Luna alleviates the price fluctuation of Terra. When TerraSDR’s price is either higher or lower than 1 SDR, users can exchange one SDR for a SDR’s worth of Luna or a SDR’s worth of Luna for 1 TerraSDR for the purpose of arbitrage. To survive the traditional business cycle, Terra learned from Taylor’s Rule to cope with the fluctuation of mining rewards value by dynamically adjusting the transaction fee rate and reserve ratio. To conclude, the project plans to issue two tokens — Terra and Luna. Terra will not be used in fundraising as an asset pegged with fiat assets, so Luna will assume this responsibility. After the project being launched, Luna holders will be rewarded part of the Terra transaction fees via a PoS mechanism. It is quite innovative for the project to have cryptocurrencies pegged respectively with different fiat currencies by using blockchain technology. On one side, the adoption of oracles can guarantee the accuracy of exchange rate during the transfer. In Terra, Luna holders can receive some part of the transaction fees as dividend for mining. Miners can vote for what they believe to be the current exchange rate in the target fiat asset. Some amount of Terra is rewarded to those who vote within certain standard deviation of the elected median. Those who voted outside may be punished via slashing of their stakes. On the other side, Terra stabilizes the price by countercyclical mining. When the price of a currency pegged with certain assets deviate from the path, the system will normalize the price through repurchasing or mining rewards dilution, which is similar to how central banks adjust price levels by absorbing or increasing liquidity. Terra has done well in terms of its cooperation with e-commerce companies. It has partnered with Korea’s №1 e-commerce platform TMON and is also negotiating with other companies. Users will be able to purchase online with virtual currencies. However, Terra’s communities on the social networks are quite unremarkable. It has 4,382 members in the Telegram group, 998 followers on Twitter and 196 members on Discord. The project should pay more attention to this part later. The core of Terra’s cryptocurrencies is to construct a “central bank” via algorithms, smart contracts and etc., in order to gain control over cryptocurrencies pegged with fiat assets. The hybrid design of “stake coin + stable coin” stabilizes the price of stake coin at a reasonable level and enables users to receive dividends by holding stake coin. In addition, the stake coin can further serve to secure the reserve, so as to support the release of stable coins. 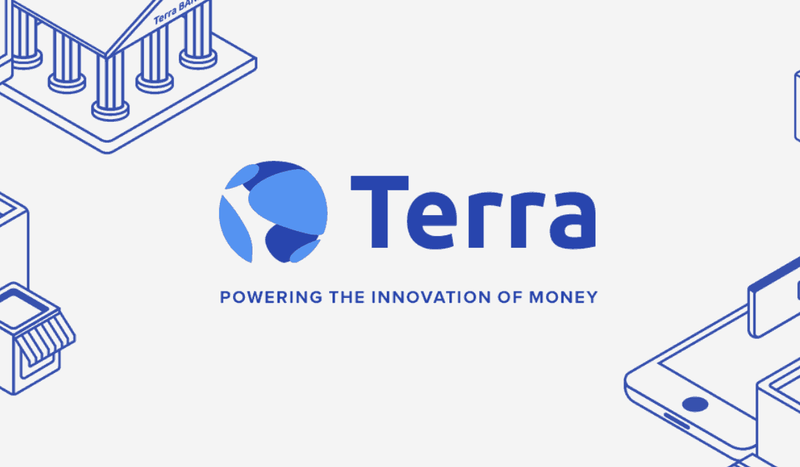 Different from fiat-collateralized stable coins like USDT, the design of Terra is undoubtedly ingenious. In comparison with coins simply pegged with one asset, Terra’s stable coins have improved the level of decentralization. When there are sufficient transaction fees, it will be able to completely cover the cost of decentralization mechanism and its risk compensation. However, when the transaction fees run short, the whole ecosystem will also come to a standstill. To solve this problem, Terra has established a Dapp platform and partnered with a well-known Korean e-commerce company TMON. The real problem here is that whether the current cryptocurrency users will be able to support the platform. Besides, despite the novelty of Terra’s economic model, there are also some problems. When certain individual or group holds over 51% of the total Luna tokens, this person/group will be able to control almost all the voting, which is similar to a 51% attack in the blockchain world and can cause destructive damage to the whole ecosystem. All information in this article is provided for reference only and does not constitute investment advice. EVALUAPE is a platform for demonstration and evaluation of blockchain projects. We provide comprehensive database and professional evaluation of global blockchain projects with our extensive experiences, while adhering to the values of community culture, ultimately decentralizing the platform. We desire to become an international, professional and remarkable project evaluation platform.